30 years strong - why would you go anywhere else? Frank and Raja are fully trained on fibre origins and the vast array of treatments available in the rug cleaning industry to guarantee the best results possible. Devine Rug Care are now fully Authorised Microseal Applicators - a product that will permanently protect your beautiful rugs and surfaces from sun and stains. The Devine group are accredited by the Woolsafe Association and are are founding members of ican. Devine Rug Care know fibres! Origins, dyes, colourfastness. They know how to get the best result for your beautiful rug! 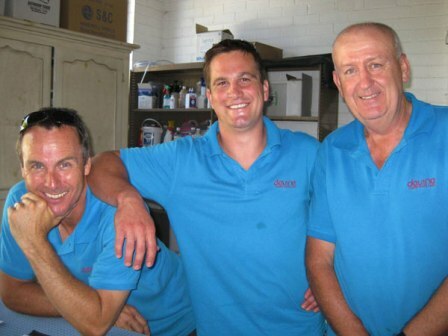 Devine Rug Care are known for their attention to detail and excellent workmanship. Whether you have a $800 rug or an $8,000 rug, they know how to bring the best out of the fibres and colours. Devine Rug Care's experience in the carpet industry brings knowledge and wisdom that no other company has. Their professionalism enforces their deep understanding of products in the global marketplace. 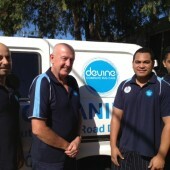 Devine Rug Care are honest, reliable and professional. Their testimonials and business longevity speak volumes about their quality and care for each job and client. Devine Rug Care pride themselves in the end result - whether that be a minor refresh and revitalizing of a rug or a restoration of colour and charm. Why choose Devine Rug Care? Simply put- they are people of excellence and easy to deal with! You will be more than pleased with their service and result! Delighted with our clean rug. Excellent service. Thank You So Much!